Vancouver's prime location on the coast, where the Fraser River dumps into the Pacific Ocean, has ensured its popularity as a place to live for millennia. Its bounty of natural resources caught the eye of early British explorers, but when gold was discovered in the mountains during the mid-1800s, Vancouver really took off. Prosperity continues today as the city beckons a steady stream of global visitors and trendy urban dwellers with a love of nature, beautiful scenery and all things cool. The Coast Salish tribes had been living in this area for thousands of years before the British navy captain George Vancouver first explored the area in 1792, landing at Point Grey to claim Vancouver for England. Simon Fraser made it here in 1808, following the Fraser River and becoming the first European to reach the area by land. But few people had any interest in the land until the discovery of gold some 50 years later. 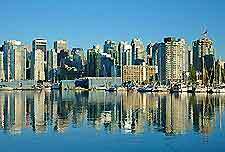 The Fraser Gold Rush of 1858 opened the floodgates and laid the foundation for the history of Vancouver. The rush only lasted two years, but it established the colony of British Columbia. Remnants of its golden heyday can be seen today at sites such as the Barkerville Historic Town. Right on the heels of gold came timber. A settlement known as Gastown dug in on the water's edge and acted as the shipment point for loads of timber back to Britain. Gastown today ranks amongst the most interesting of Vancouver's many historic downtown neighborhoods. The Canadian Pacific Railway, one of young Canada's most powerful companies, noticed the booming port at Vancouver and chose it as the terminus for its first transcontinental railway. Once the train route was linked to the settlement, the city exploded into one of the world's busiest ports. A large portion of modern Vancouver sits along the coast, inviting visitors to the trendy markets of Granville, cool neighborhoods like West End and Yaletown, and several pleasant urban beaches. This boom in resource exploitation attracted emigrants from all over the world throughout the late 1800s and the first half of the 1900s, this in spite of a fire in 1886 that razed the entire settlement. 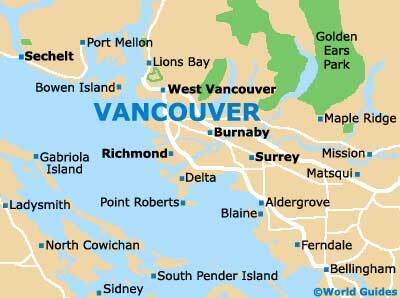 This influx of newcomers helped to shape Vancouver into one of the most ethnically diverse cities on the planet. Its multicultural mix and incredibly scenic environment have made it into one of North America's most popular travel destinations. From its huge Chinatown to the cultural museums and galleries of Yaletown, the city's rich ethnic heritage is on display everywhere you turn. By the 1980s, Vancouver was ready for its next evolution. 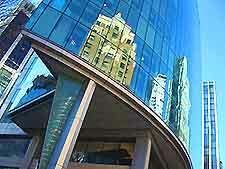 Having attracted more than two million residents, the city became a hotbed for creativity and local 'green' business. Its 100-year anniversary was celebrated in style with the 1986 World Expo, a wild success that saw more than 21 million visitors and opened the world's eyes to Vancouver's charms. The city responded, revitalising its diverse neighborhoods to promote their unique heritage and investing in forward-thinking public transportation projects like the SkyTrain. The people of Vancouver understand the value of the nature that surrounds them, and the city has taken bold steps to protect and integrate parks, beaches, rivers and woodlands into the urban sprawl. The history of Vancouver is now being written by a younger generation, with a buzzing café culture and growing movie production scene that has earned it the nickname of 'Hollywood North'. 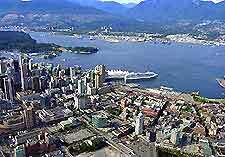 The 2010 Winter Olympics thrust the city's easy access to British Columbia's myriad outdoor recreation into world view. With massive ski resorts like Whistler - Blackcomb a short drive away, Vancouver offers visitors the best of both worlds in terms of urban fun and natural inspiration. This looks set to remain par for the course as Vancouver continues to forge itself into one of the planet's coolest cities.